I love a good list, it makes me feel organised and gives me something to focus on. Each year I make a note of what we want to achieve each year, normally it surrounds jobs around the house. 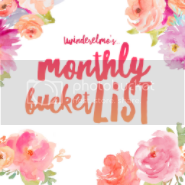 This year I thought I would extend this and do a bucket list of not only household jobs, but also fun things we would like to do as a family. When I look at this list I am excited for 2017 and what it will mean for our family. To make our house a home and to have lots of lovely family fun along the way. It’s a big year for Holly with moving to a bed, potty training and starting pre-school, but I know she will take it all in her stride. As for Alice come the summer she will have finished her first year at school and I couldn’t be prouder of her. I will give you an update each month on how we are getting on with ticking these of the list. 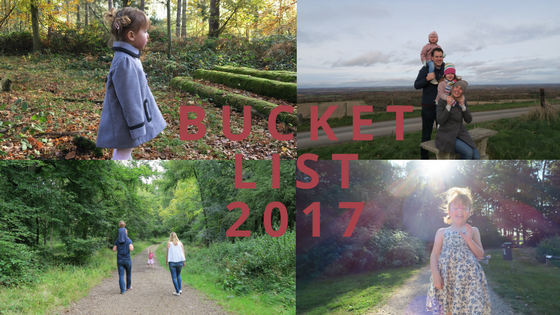 I love that there are lots of fun things for you all on that list, it sounds like 2017 is going to be a brilliant year! Happy New Year to you all.